Creating in Colour: How Many Shoes Do You Need? 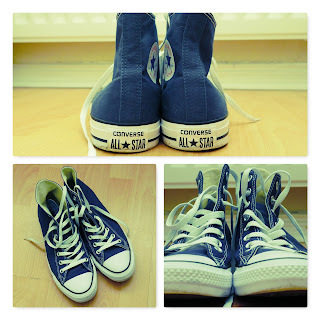 When I decided to go minimalist, shoes were one of the items I had to consider carefully. I had 14 pairs in residence at the bottom of my wardrobe, not to mention a few other pairs that had found their way into the attic. Like most people, I only have one pair of feet so in theory I only need one pair of shoes. But as we all know, it’s not quite that simple, even for us blokes. There are shoes for all sorts of occasions. There are dress shoes, trainers, casual shoes, walking shoes / boots and sandals among the many varieties available. I had all of those mentioned plus a pair of Doc Martens. The first thing I had to think about was how many of my shoes I wore on a regular basis. The answer was simple. There were five pairs of shoes in the mountain of footwear that I wore regularly. The first shoes to go were the dress shoes. I’m not one for ‘special function’ clothing, so that was a relatively easy task. However, that still left me with far too many pairs of shoes. The thing about having so much clothing is that you often pressure yourself into wearing stuff you may not even like anymore, just because you spent ‘good money’ on it. Also, having too much stuff just complicates decision making. One of my primary reasons for going minimalist in the first place was to simplify my life, so that I could get on with living and do the stuff I enjoy doing. I didn’t want to make my life any more complex than need be, so I still had more thinning out to do. The next shoes to go were those that had seen better days and those that were not comfortable. That took the total number of pairs of shoes for keeping to seven. But I wasn’t happy. I still considered that far too many pairs of shoes for me to own. After some deliberation, I reckoned I needed three pairs of shoes. I picked out the ones I felt would offer me the best value for money and flexibility in my fashion choices. So, what I have in the bottom of my wardrobe today is a pair of trainers for when I’m out walking, a pair of Converse All Stars and a pair of waterproof walking boots. We get a fair amount of rain here, so it would be silly not to have some waterproof footwear to hand. I’ve been working with these three pairs of shoes for a few months, at the time of writing this post, and I have to say that that number is adequate for my requirements. I also held onto a pair of sandals for splashing around in the water at the beach. I didn’t count them because they are only used for one purpose and they don’t take up that much space. 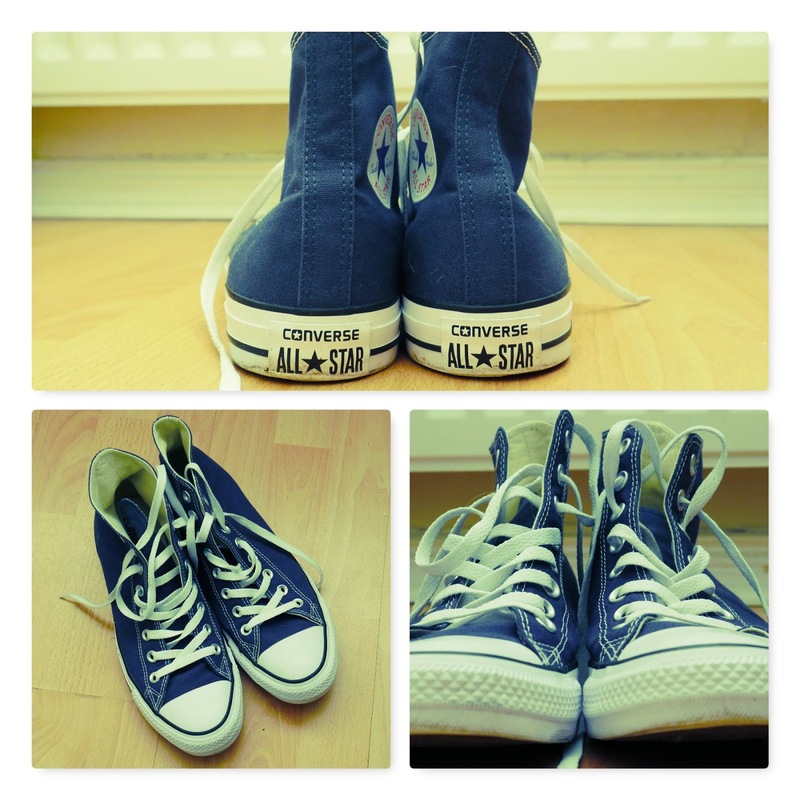 My favourite shoes are definitely my Converse All Stars. They look good with anything, they are reasonably hard wearing and they look super cool. I couldn’t resist posting a photo of them. So, how about you? 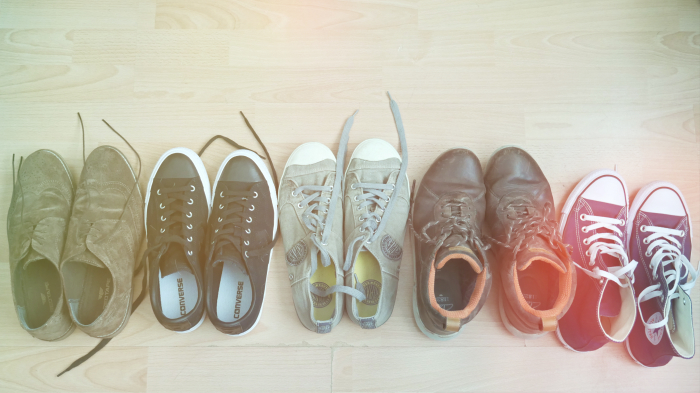 How many pairs of shoes do you own? And many would you consider throwing away or donating to a good cause? cleanup is tough at most times...I should get rid of some shoes like you, a good starting point. Hi, Christine. Thank you for commenting. Clean-up time is tough, that's another reason why I decided to minimalist - the less you have cluttering the place up, the less tidying you have to do. Hi, Valerie. Thank you for commenting. It's good to be back blogging again. I had a rough few months with my health, but getting back on track now. It's good to get rid of stuff we don't need. It frees up mind-space, as well as the house.